Parksville, British Columbia, offers a variety of opportunities for hikers, from an easy stroll along a beachside boardwalk in the heart of the city to a rustic hike through a dense forest along a pristine river. Parksville is a small city on the east coast of Vancouver Island, 37 km north of the larger Nanaimo city, where the BC Ferries link the central Island to Metro Vancouver on the Mainland. 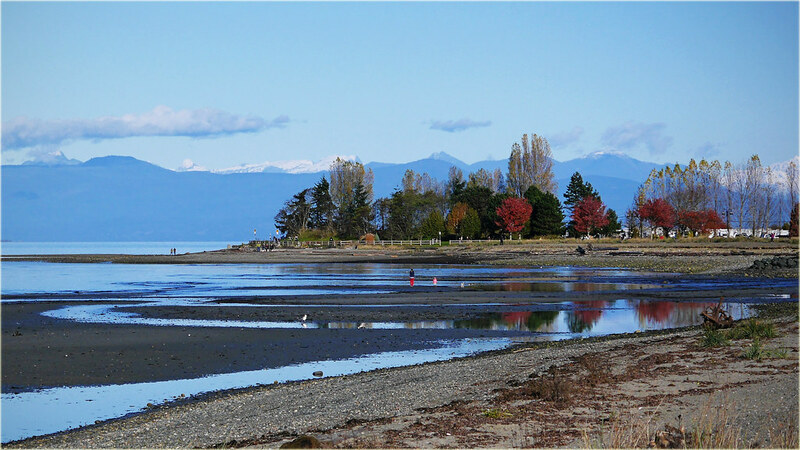 Parksville beach is a jewel in the heart of the city, with an incredibly long low tide exposing a breathtaking expanse of sandbars and tidal pools. The Boardwalk along Parksville beach is 445 meters long and 4.5 meters wide, starting at the foot of McMillan Street to the far side of the Parksville Community Park, home to many local festivals and the famous Sandcastle Sculpting and Exhibition. Walking west on the Boardwalk back to McMillan Street, the majestic Mount Arrowsmith dominates the background. It’s not unusual to see seagulls, herons, eagles, and the occasional seal. The Estuary trail is accessible from the foot of Shelly Road, just 2 km south of Parksville city centre. 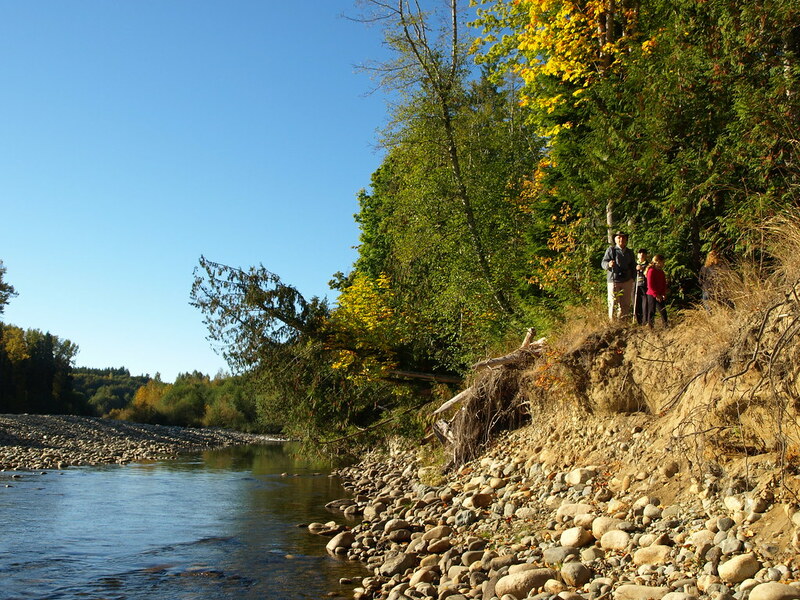 The main trail cuts wide through the forest canopy and leads to the mouth of the Englishman River, offering a gorgeous view of the estuary, the mainland mountains across the Salish Sea, and further along the trail a spectacular view across the estuary toward Mount Arrowsmith. Narrower trails zigzag through the dense forest and are perfect for respite from the few hotter days during the summer. Eagles can be seen and heard high in the trees, and you can often spot deer, squirrels and rabbits dashing about. These 5.5 km of beautiful trails run along the shoreline of Rathtrevor Beach Provincial Park and through the park itself. 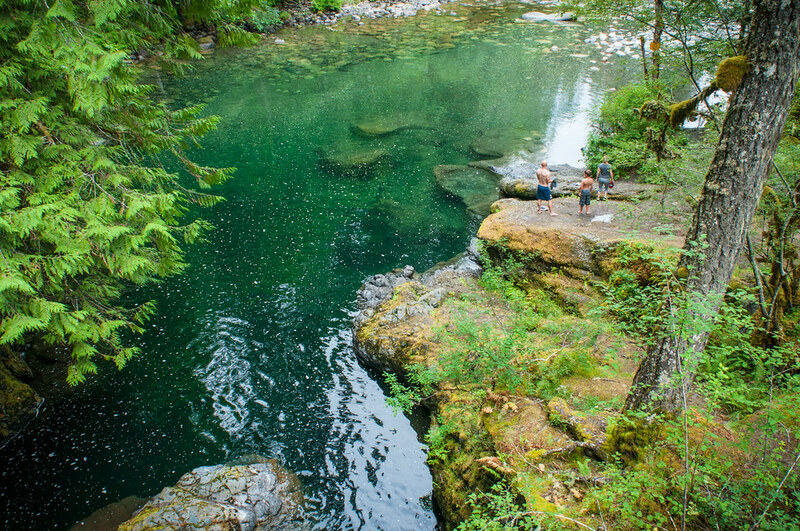 The park is 3 km south of Parksville and features one of the most popular campgrounds on Vancouver Island, with campsites nestled in among mature Douglas fir trees. 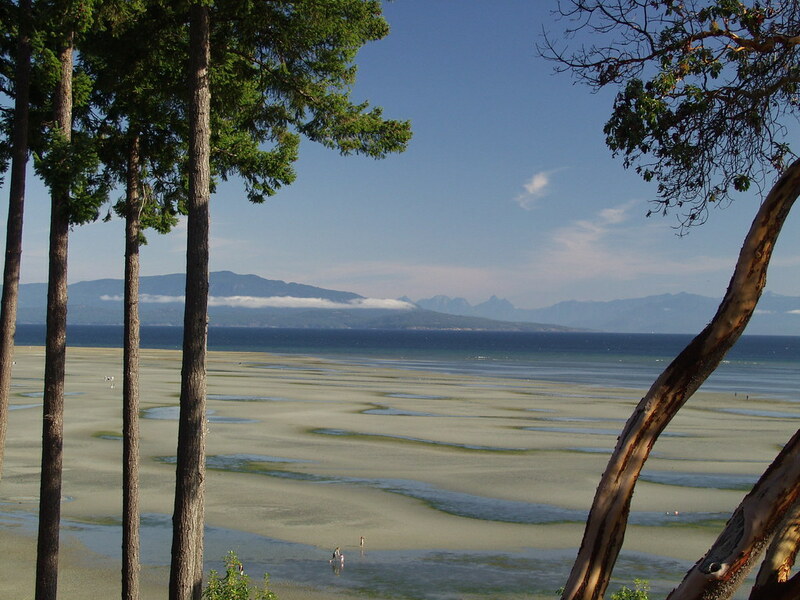 Rathtrevor beach, like Parksville Beach, has a long low tide with 2 km of sandy beach to enjoy. Wildlife in the park includes racoons, deer, otters, seagulls, eagles, hawks and owls. 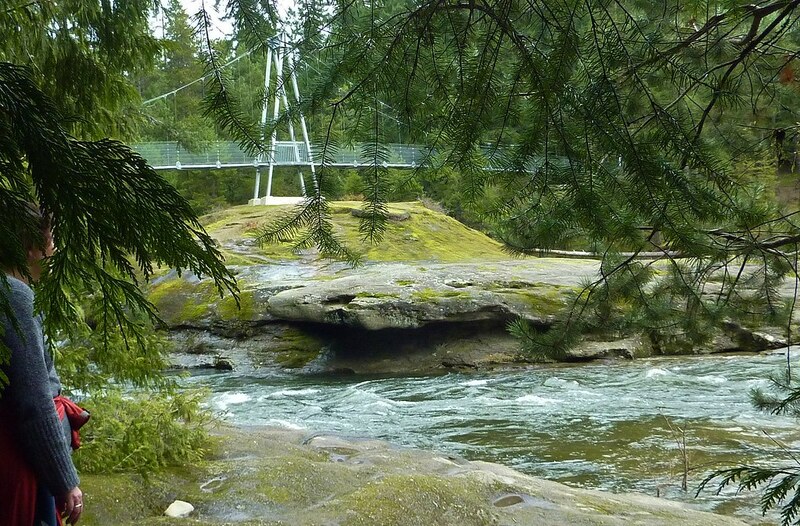 Top Bridge Regional Trail reaches 5 km in each direction from the beautiful suspension pedestrian-cyclist bridge for which the park is named. There are a number of entry points. For the most rustic and remote trail, it starts at the end of Allsbrook Rd (off Bellevue Rd, off Hwy 4A), 5 km from Parksville city centre. That part of the trail meanders south through a dense forest, along the Englishman River, and other smaller waterways. It includes soft pathways dusted with fallen needles, stairs, twists and turns, steep mounds, root systems and naturally fallen trees to step over. At the far end, there is a loop between Numbers 4 and 5 bridges that takes you to where there is an impressively high cliff bank across the river. During one hike it is possible to spot woodpeckers, ducks, beavers, deer, rabbits, squirrels and eagles. 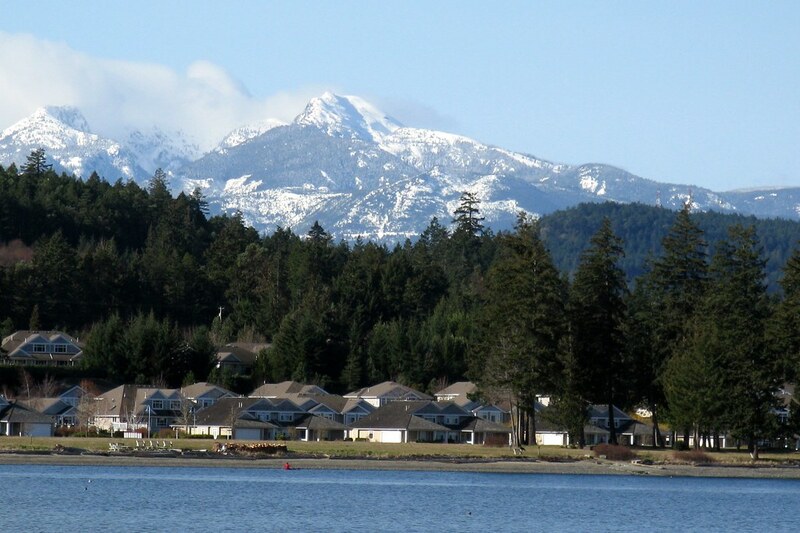 Those are just 4 of the many beautiful opportunities to hike the Parksville area. Enjoy!